J im Luce wrote and edited newspapers from elementary school and high school through college. He has written for the BBC and the New York Times, and publishes regularly in The Huffington Post and The Daily Kos. 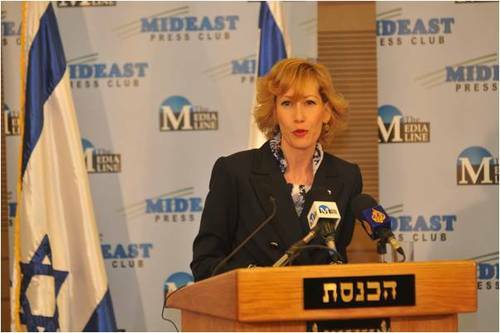 Felice presides over the historic session of The Mideast Press Club in Israel’s Knesset.